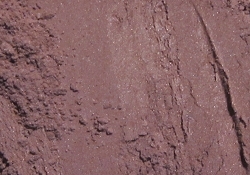 Nearly matte light mauve. This shade contains no dyes. Lip safe, eye safe.